Getting a sports injury is never a fun experience. Many times, doctors and surgeons will tell you that surgery is required. This may certainly be true for some serious sports injuries like breaks and even some fractures, but not all injuries require a full-blown surgery. Sometimes, surgery can complicate your injury, and it may even cause you more pain and discomfort in the end. You should be sure to listen to the advice of your doctors and surgeons, but if you are able, consider some holistic remedies as alternatives to getting surgery. What Constitutes a Sports Injury? A sports injury is one or multiple injuries that occurred while engaging in physical activity. Sometimes, the injuries are acute. This means that a single, unfortunate occurrence passed at which time a break, fracture or other injury happened. An example of an acute sports injury is a slipped disc after colliding with a teammate during a soccer game or a broken arm from falling on the basketball court. However, there are also use injuries. These injuries occur from physical activities and sports, but they are a result of overuse or misuse of a particular part of the body. An example of this type of sports injury would be tennis elbow from playing tennis or a strained back from swimming. Both of these types of injuries are equally troublesome and uncomfortable, but again, they need not always be treated with surgery. Holistic remedies can go a long way. Chiropractic care offers many holistic benefits to sports injury recovery. Using different chiropractic techniques and spinal manipulation, we can treat the underlying cause of the injury as well as the painful symptoms. Applied kinesiology works to treat the muscles and identify the causes of muscle weakness. This non-invasive technique uses muscle strength testing to expose imbalances and dysfunctions within the muscles, joints, or organs. This then helps the chiropractor best address the problem. Spinal decompression works to lengthen the spine by decreasing tension or decompression on the vertebrae. This treatment is especially helpful for back and neck pain or bulging discs. If you’re suffering from a sports injury, holistic chiropractic care could be right for you. At Nault Chiropractic, we believe in the body’s ability to self-heal. We provide the body with the right tools that it needs to recover naturally – without harmful medications or invasive surgery. Doctor Stephen Nault has much experience working with sports-related injuries – both professional and amateur. He will work with you to determine the safest and most effective treatment plan for your needs. 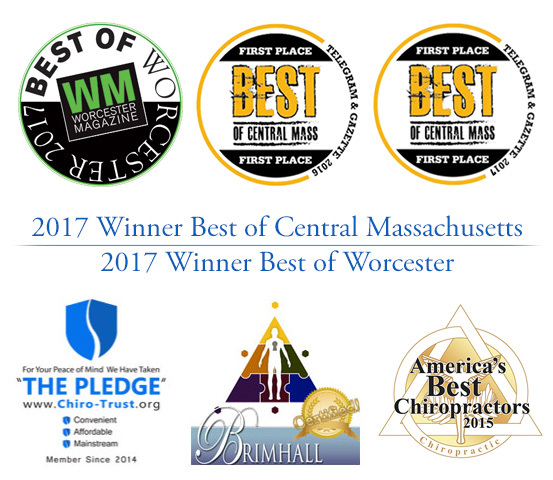 Contact Nault Chiropractic today to schedule your consultation or stop by our Worcester office and you’ll be one-step closer to injury recovery. Holistic Chiropractic Treatments for Neck Pain Is Chronic Arm Pain a Sign of Something More Serious?